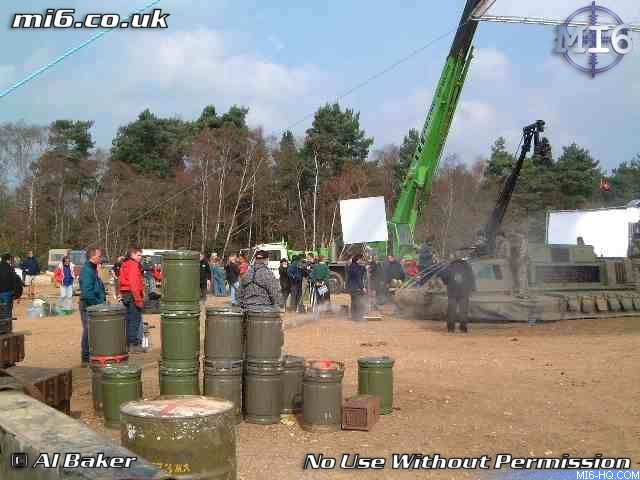 The following photographs were taking on the pretitles sequence set of "Die Another Day" based in North Korea. 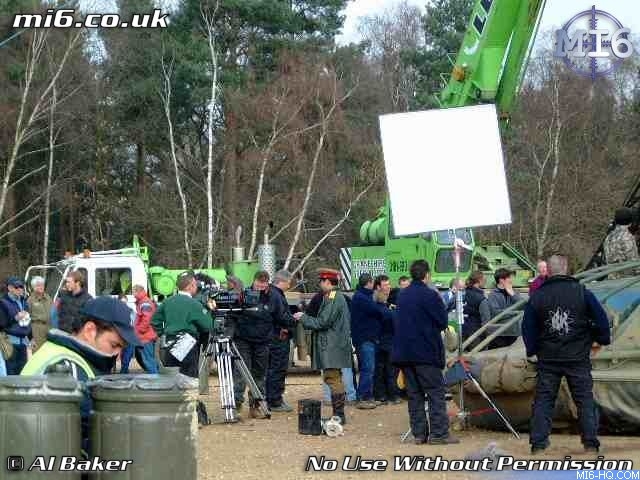 The actual filming took place a little nearer to home however, as EON productions based the set in Aldershot in the UK to double the Korean border location. 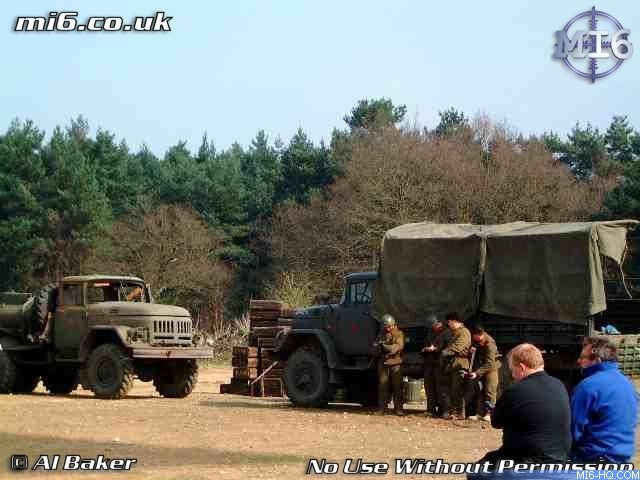 Click an image to display a high resolution version. 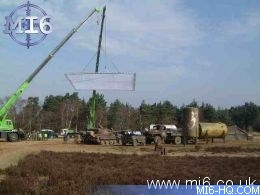 MI6 would like to thank Al Baker for sending the photographs. 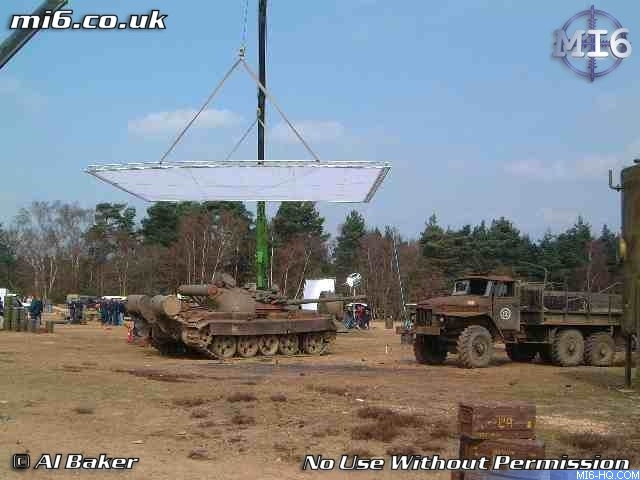 The copyright to these images belong to Mr Al Baker and must not be published without first seeking permission. 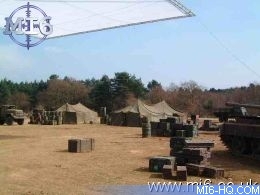 Will Yun Lee, who plays Colonel Moon, prepares for a scene near the hovercraft. 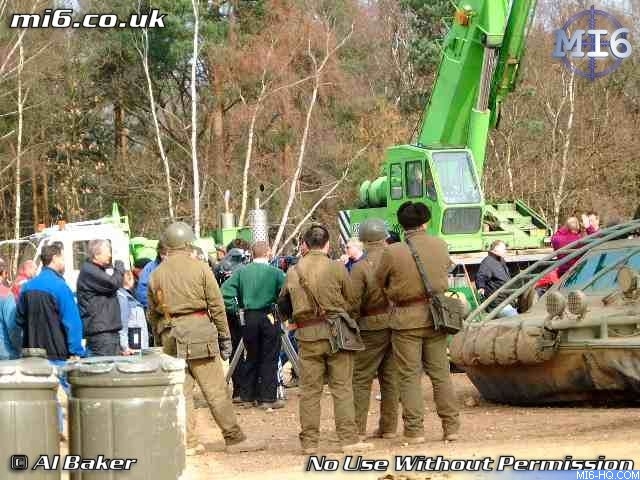 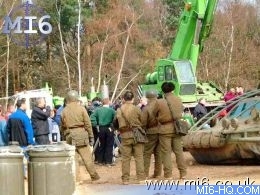 Two stunt doubles dressed as North Korean soldiers man one of the hovercraft that will be chasing 007. 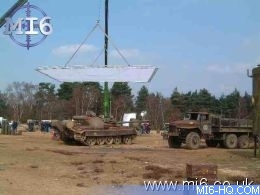 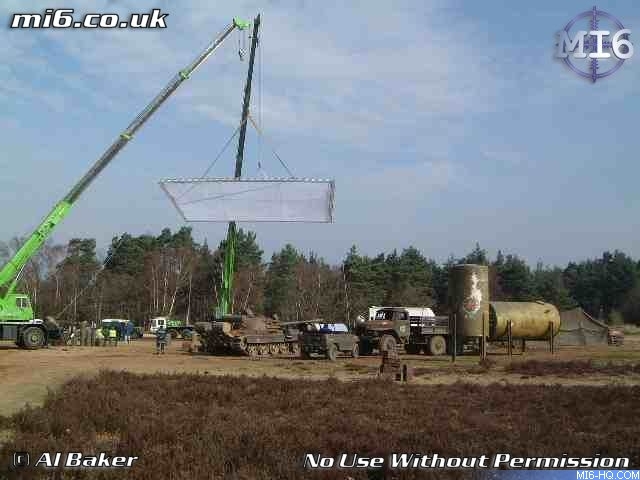 A large crane hoists a lighting rig ready for a scene involving the a tank and some North Korean trucks. A smoke machine provides the atmosphere for a close up shot on the front of one of the chasing hovercraft. 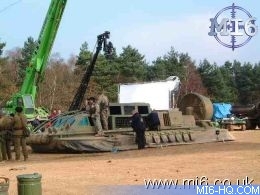 Another shot of the tank and trucks that will be opposing 007 in the chase. 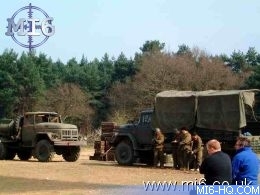 More North Korean soldiers and trucks prepare to take on James Bond. 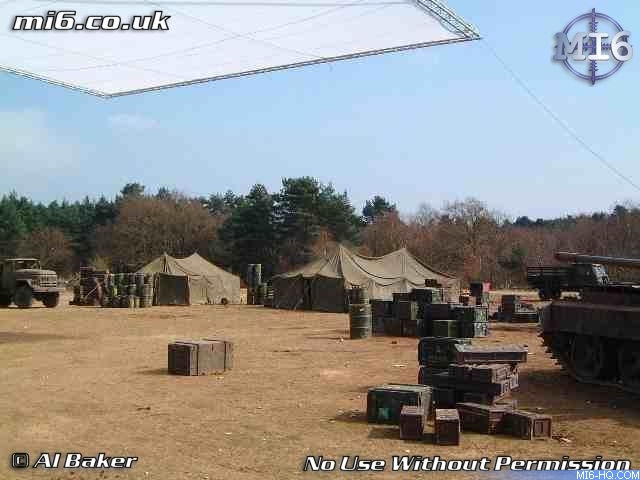 EON have doubled a North Korean army camp in the UK - even the weather matches perfectly. Stunt men, "soldiers", cast and crew mix to prepare for the next shot.